Bonnie Scotland. Relief Panorama of the Caledonian Canal, The Great Glen and Glencoe. Unpaginated. 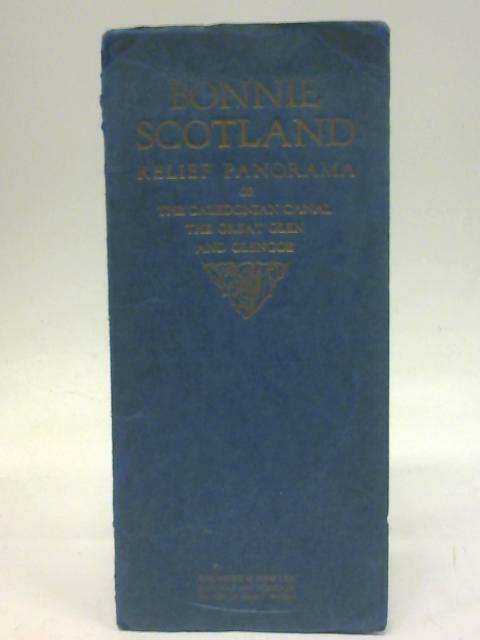 Blue paper cover with gilt titles. Fold out illustrated sepia panorama of the Caledonian Canal, The Great Glen and Glencoe. Panorama is slightly faded with occasional spots of faint foxing. One short tear on the final fold. Paper cover has creased corners. It has edge-wear with rubbing and creasing. Sunned, with faded gilt. A few small stains to rear.